L. reuteriproduces an enzyme called BSH (bile salt hydrolase). This reduces intestinal absorption of dietary cholesterol which is then excreted in stools. Like all fats, cholesterol requires conjugated bile acids in order to be absorbed. 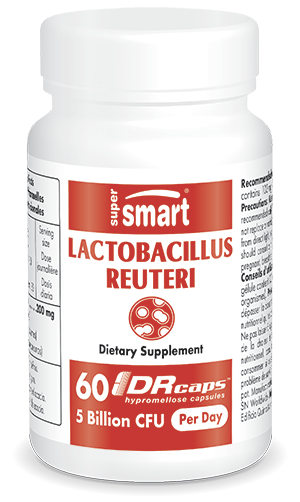 Taking L. reuteri increases excretion of cholesterol in stools by breaking the chemical bonds of conjugated bile acids.